Mercedes-Benz, India’s largest luxury car maker, inaugurated its latest luxury car workshop in Hoodi, Bengaluru. 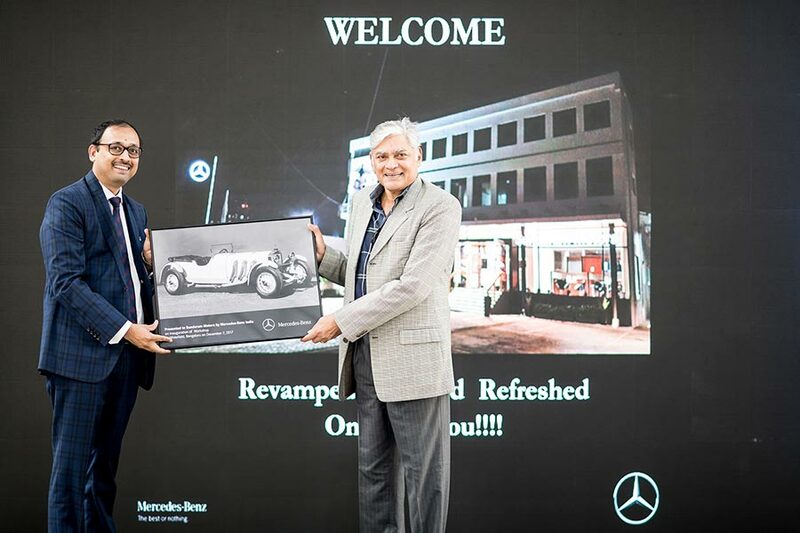 The state-of-the-art luxury facility was inaugurated by Santosh Iyer, Vice President – After-Sales & Retail Training, Mercedes-Benz India and Sharath Vijayaraghvan, Executive Director Sundaram Motors. The inauguration of three state-of-art service facilities in a span of only seven days in Salem, Thrissur (3S) and Hoodi, reiterates Mercedes-Benz India’s strong customer commitment and relentless drive to delight them. With state-of-art facilities like Sundaram Motors Hoodi combined with the famed Mercedes-Benz ownership experience, we are confident of creating fans of the brand and earn our customers’ trust and loyalty. Sundaram Motors, Hoodi will add strong value to our existing customers in the area and we are confident, will also convince new customers to buy their cherished Three Pointed Star. Mercedes-Benz India has the most wide spread reach in the country among luxury car brands with 90 outlets in 44 cities. The strategic network expansion drive not only enables the brand to reach out to every potential customer but also serves the existing customer base by providing them the best from the world of Mercedes-Benz.